The Chatlos Foundation is honored to support the dedication and leadership of Alaska Christian College. The college, which has a current enrollment of approximately sixty students, has been working for years to bring Christian education to the native people of Alaska and we are proud to spotlight their efforts. 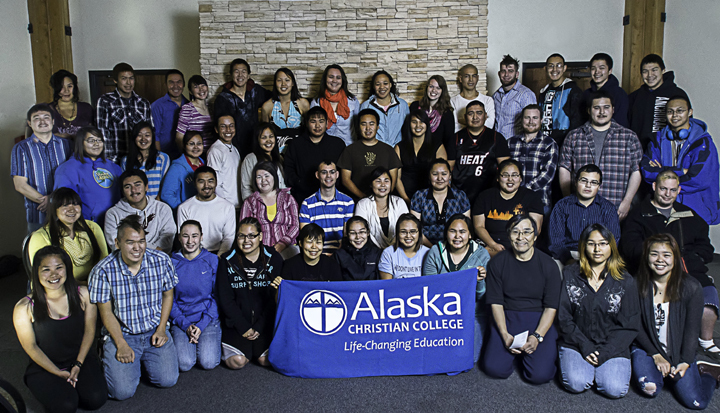 It was the vision of many Alaska Natives and ministry leaders to plant a one-year discipleship college primarily for Alaska Natives. In 1999, the Evangelical Covenant Church of Alaska began a pilot project called “Alaska Leadership College.” Five students traveled with instructors throughout Western Alaska, taking classes in various villages, serving, and learning about discipleship. 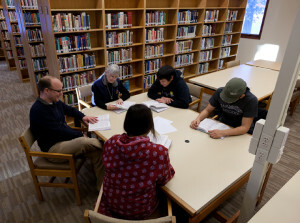 This pilot program became the foundation for the mission of Alaska Christian College, “To prepare young people for whole-life discipleship,” and for the core values of Alaska Christian College: Learning, Building, and Serving. In 2000, Alaska Christian College was incorporated. A call was made to Reverend Keith Hamilton to begin the project. In April of 2001 the campus was purchased: 10.5 acres and an 8,400 square foot home would become administrative offices, student life facilities, classrooms, and student housing. By September 2001, Alaska Christian College began with 22 students and 16 staff members. The campus grew steadily to include three cabins, a duplex, a triplex, a counseling center, prayer chapel, dormitory, dining facility/conference center, and a remodeled learning resource center. In 2003 the college expanded its curriculum to include a second year of study. This program was developed directly in response to students’ needs for safe community and continued educational opportunities. ACC began to expand its program to include general education. The goal was to encourage a more effective transition for rural students to higher education. This is a primary goal for ACC’s two-year Certificate of Biblical and General Studies. They have continued to expand its ministry through critical partnerships in the local community. 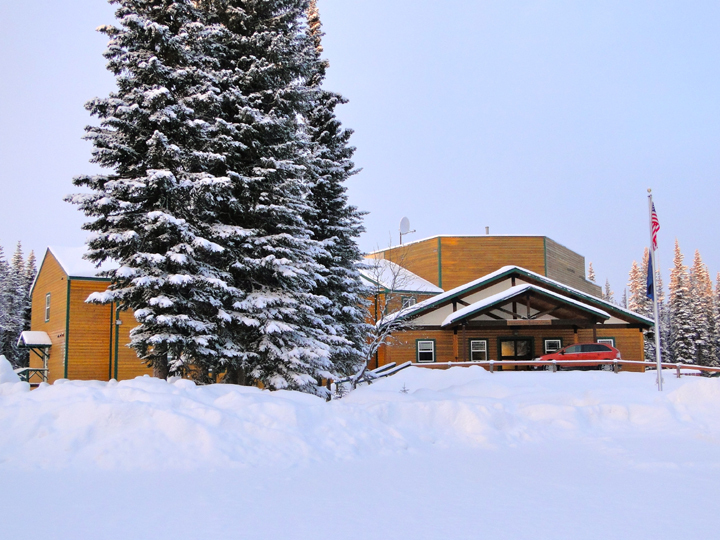 Kenai Peninsula College, located only a half mile from ACC, provided general education opportunities to students as part of their 2nd Year Certificate from Alaska Christian College. ACC also began a formal ministry partnership with New Hope Counseling Center, a separate 501(c)3 organization. This ministry is an integral part of whole-life discipleship and students, staff, and community members have supportive access year round to this ministry. In 2007, ACC was awarded candidate status with the Association for Biblical Higher Education and received initial accredited status in 2012. Due to this candidate status designation, the first Title IV funds were received the following year for student room, board, and tuition, a first in our history. 2010 was an important milestone for, ACC that is when they received a Title III grant that added academic space and program needs to fulfill the vision to award its first Associate of Arts degree in 2014. This grant funded a new learning resource center, new classrooms, and staff to support this goal enabling the first degree offering of the college. 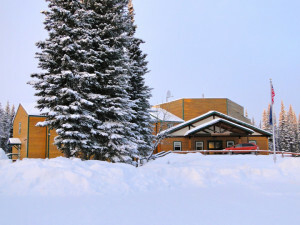 Alaska Christian College recruits a diverse student body; however, the original focus of the college was to focus on indigenous populations and is today. A new mission and vision statement were adopted by the Board of Trustees in 2010. The mission of Alaska Christian College is to “empower Alaska Natives through biblically-based education and Christian formation to pursue excellence in character, learning, and service as followers of Christ.” Its vision is to be the premier college of choice for Alaska Native students so that our graduates follow and serve Christ within the Church and larger society. By 2015, ACC had accumulated 22 acres and 13 buildings. A 14th building and another 4.25 acres have been promised to ACC. 35 staff approximately including full time, part time, and volunteers make up the staff. Nearly all full time employees raise support as missionaries. The budget has grown to 2.2 million dollars with approximately 2/3rds of the budget coming from donation funding. The school awarded its first AA degrees in Christian Ministry in 2014 and then in Para-professional Education in 2015. More degrees will be added as the need is identified and funds become available. Alaska Christian College continues to be a place where the Word of God is communicated, students are educated according to their cultural setting, healing and restoration takes places, and students find hope in returning to serve in their villages and communities from where they came. To learn more about this outstanding college visit their web site at www.akcc.org.